In case you missed this exciting tech news from Chris Burns on SlashGear, There’s a new service popping up this week from Google, a cloud service by the name of Google Drive. 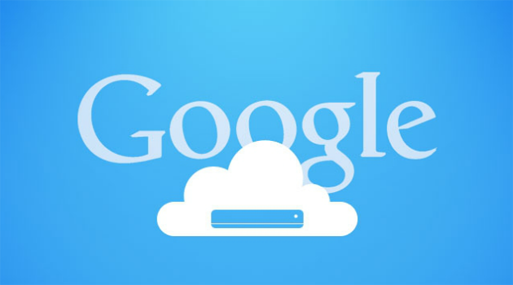 Akin to Dropbox (which we recently wrote about), Google drive will also have the ability to be a cloud server for files. Burns reported that according to The Next Web that the service will be launching this Tuesday, April 24th. This service will be 5GB of free space and will be available for access on Mac, Windows, Android, and iOS. Google’s main competitor, Dropbox, currently offers 2GB of space for files. Google will up that to 5GB.The free service will operate very similar to Dropbox in its ability to be a desktop-integrated application working with drag and drop windows. This service is set to be free in its most basic form and pay for additional space. This is not Google’s first entry into the cloud space. They’ve been giving away space in the form of Google Music’s ability to hold thousands of songs for free, and Google Docs has a monstrous amount of space for your documents as well. Gmail, too, has been Google’s headline “cloud” service for many years. Also expected in Google Drive is an in-app Documents editor, leading us to believe that the Google Drive service will be much more of an extension of Google Docs than a standalone service.